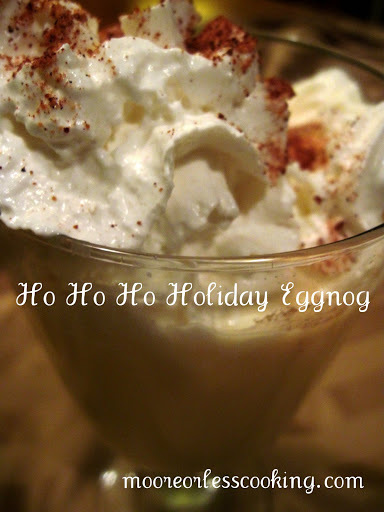 Freshly Grated NutmegMethod:Pour Eggnog into a tall glass, add rum, stir, top with whipped cream, grate or shake nutmeg over whipped cream! Enjoy! Merry Christmas! Serving 1. This post has been linked up to these fabulous blogs!